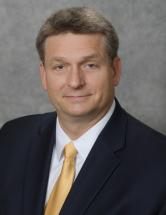 Mark Earley was elected as the Supervisor of Elections for Leon County on November 8, 2016 and formally took office on January 3, 2017, continuing a long career of service to the citizens of Leon County. Mark began his elections career in the fall of 1986 and played an integral role in the adoption of Leon County’s first optical scan paper ballot voting system which remained in place for more than twenty years. During the infamous 2000 election cycle, Mark successfully managed Leon County’s voting operations which were recognized by the Leon County Board of County Commissioners as "statistically the cleanest county elections in the state." In early 2002, Mark accepted a position with a major election systems vendor as Senior Accounts Manager, where he managed accounts across the nation, managed deployment of voting systems and state certifications, and was a member of several system design teams. In 2008, Mark returned to Leon County, accepting an offer to serve as the Voting Systems Manager for Leon County. He oversaw the acquisition and deployment of Leon County’s state-of-the-art paper ballot voting system and helped consolidate operations from four warehouses and one administrative location into the new Leon County Election Center. Mark also played a lead role in the design, testing and deployment of a new post-election audit system which uses vote visualization technology to bring a new level of transparency and validation to elections. Mark earned his Mechanical Engineering degree at the FAMU/FSU College of Engineering, and several professional certifications including the national Certified Elections Registration Administrator certification and the Master Florida Certified Elections Professional certification. Mark currently serves as the Treasurer of the Florida State Association of Supervisors of Elections, and as the chair of the association’s Cybersecurity Committee where he works closely with local, state, and federal agencies to continue hardening our elections infrastructure against outside interference.